Professor of Marine Science and Director, Centre for Marine Futures, Oceans Institute, University of Western Australia. 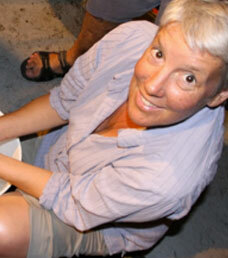 Professor Jessica Meeuwig is the Director of the University of Western Australia’s Centre for Marine Futures. Her lab works on a range of ecological questions relevant to marine conservation including the role of sharks in maintaining ecosystem health, the structure and function of pelagic fish assemblages, and industrialization of seascapes. Her team also conducts research in a number of large marine protected areas internationally, including the Chagos Archipelago (Indian Ocean) and Palau (Western Pacific). Jessica has contributed scientific input to a number of key marine policy debates including the benefits of marine reserves, allocation of quota to supertrawlers and the use of lethal drumlines to improve ocean safety. She was a 2012 finalist for WA Science Ambassador of the Year and is a Conservation Fellow of the Zoological Society of London.